Calling all community groups and individuals doing exceptional work in the community to apply for grants as part of the Cazalys 2015 Community Fund. The Fund opens on Friday the 1st of May 2015. The aim of the Fund is to “Better the lives of people in Far North Queensland” and gives grants to people and organisations who strive to make a difference. Up to $5,000 for organisations & up to $1,000 for individuals. Application packs will be available here from the Cazalys website or from the club from Friday the 1st of May 2015. Fully completed applications with all supporting documentation must be received at Cazalys by 4pm Friday the 3rd July 2015. No applications will be accepted after this time, no exceptions! Proudly supported by The Cairns Post & Channel 7. Cazalys has made a $5,000 donation to The Reach Out For Ravenshoe Appeal. If you would like to support those affected by the Ravenshoe Caf© Explosion please visit www.givit.org.au to donate. You can also donate over the counter at any Bendigo Bank Branch or by making a deposit to:GIVIT Ravenshoe Appeal- BSB 633000 Account Number 154940829. Or over the counter at any National Australia Bank branch or by making a deposit to: Ravenshoe Cafe Fire Victim Fund- BSB 084889 Account 248060760. Of course you can always drop your spare change into the specially marked donation tins around the club too. May’s charity was The Cancer Council. A total of $269.00 was raised by our members from donation tins for this worthwhile charity by our members. 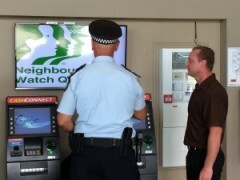 With the support of Cazalys, police have installed a multimedia player with a television screen at the club to capitalise on our crime prevention themes with visual messaging. The capabilities of the multimedia screen allows police to update messages and integrate live data as part of the visual display. Northern Region A/Assistant Commissioner Paul Taylor and Cazalys Group Assistant Manager, Jason Wales today welcomed the new crime prevention multimedia messaging system. Assistant Commissioner Taylor said, We are very fortunate that we’ve been able to partner with Cazalys who have 35,000 members and a high volume of foot traffic through the door.We are able to get our flat screen TV there at the entrance to echo our crime prevention and community safety messages out to all the patrons when they enter the club. April’s charity was the Pyjama Foundation Cairns- Our members donated a total of $272.10 through donation tins placed around the club. March’s charity was the Australian Melanoma Research Foundation – Our members managed to raise $313.60 through the donation tins out & about the club! February’s charity was Alzheimers Australia -Far North Qld branch and our members small change contributed $192.00 to this worthwhile cause. In January our members small change & our raffle sales from Australia Day raised $1,111.50 for Surf Life Saving Far North QLD. Not only were we a drop off point for the Salvation Armies 2014 I Believe In Xmas Toy Drive but the collection tins from around the club & donations totaled $1,500. A huge thank you to all our members who donated toys & cash to this wonderful cause! Cazalys had the donation tins out again this month at the bars with $248.00 going to YAPS (Young Animal Protection Society). 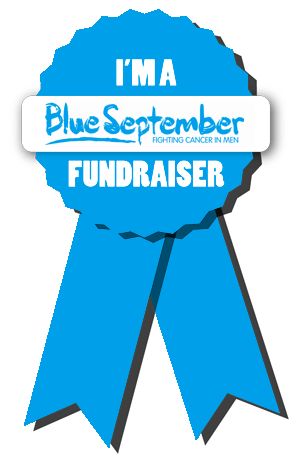 Blue September is a nationwide awareness and fundraising initiative about all the cancers that affect men not just prostate and testicular cancer, but also bowel, lung, liver, pancreatic and other cancers. The campaign aims to raise funds for Australian Prostate Cancer Research and Australian Cancer Research Foundation charities to raise men’s awareness of cancer and help them to reduce the risk of developing and dying from cancer by making better lifestyle choices and seeking help sooner rather than later. 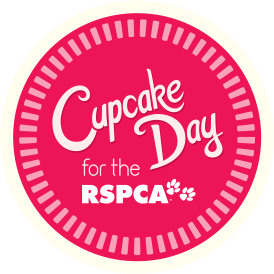 August 2014: RSPCA Cupcake Day! 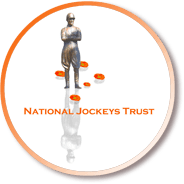 The National Jockeys Trust which was established 10 years ago in collaboration with the Australian Racing Board. Its focus is to support former and current jockeys and families who are are in need as a result of serious injury to or the death of a jockey. The collection tins were out on the bars during Aug- Sept with all funds raised going towards assisting The Australian Volunteer Coast Guard. $403.20 was raised for this very worthwhile cause. The Australian Volunteer Coast Guard is the largest volunteer marine rescue organisation in Australia. The Australian Volunteer Coast Guard provides marine rescue and education services from squadrons across the country, including 22 in Queensland. More information can be found at www.coastguard.com.au. We also had the tins out for this charity in January of 2015 and raised another $302.25 for the Volunteer Coast Guard! 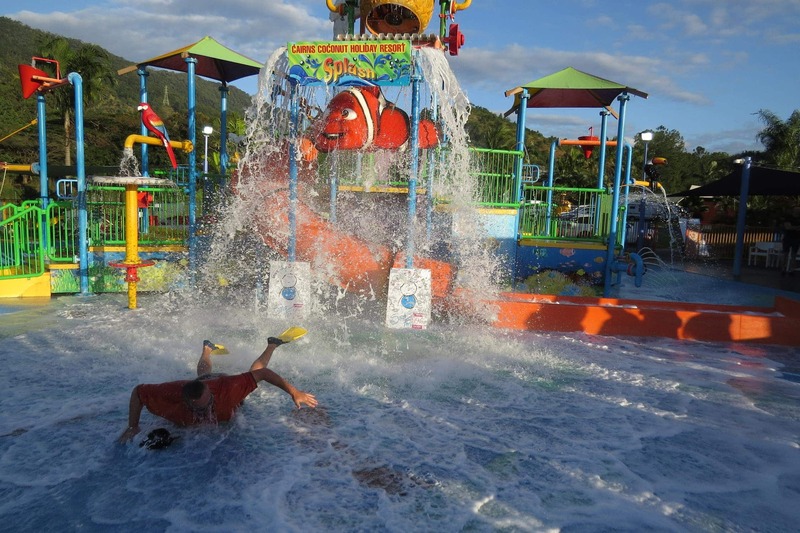 July saw Cazaly’s raising funds for Give Me 5 For Kids charity with the opening event, Dunk Your Boss at Cairns Coconut Holiday Resort on the 27th June 2014. GM, Jason Salecich took the drenching all in a days work! 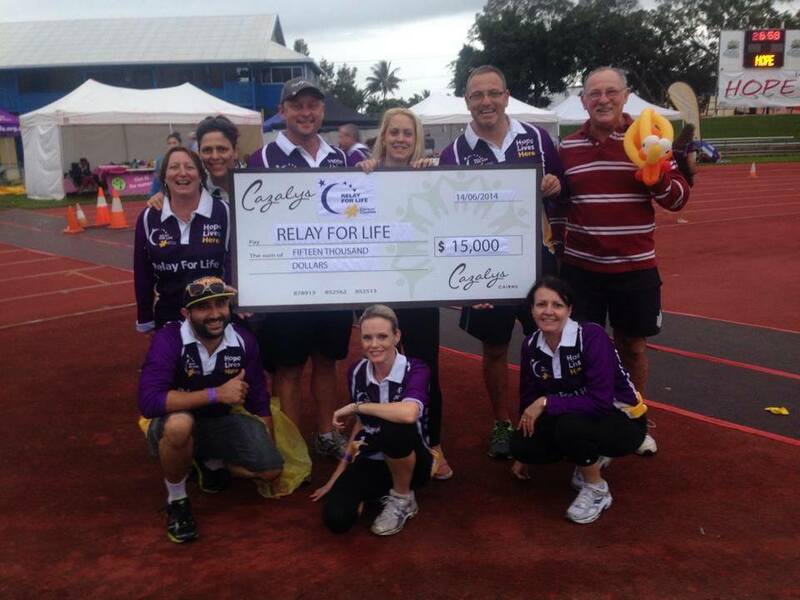 June saw the Cazaly’s Lucky Ducks team enter the Cairns Relay For Life charity event at Barlow Park on the weekend of 14/15th. This was the culmination of months of fundraising with raffles, events & competitions by the Cazaly’s Relay For Life Coordinator Katy Vidler who worked tirelessly over the past few months raising money for the charity. Katy was awarded the “Spirit Of Relay Award” for her efforts! All together $15,000 was raised!! Go team Lucky Ducks- time to start planning for next year? In February Cazaly’s is proud to support The Cairns Region Annual Family Fun Day supporting Spina Bifida Queensland. Specifically supporting disadvantaged children and those with special needs and their families in the local community. This years Family Fun Day is on the 23rd February at Events Cinemas in Cairns. Thanks to all who donated to Januarys charity Alzheimers Aust -FNQ branch! Your donations helped out the charity with a whopping $1,400!! December saw an overwhelming response to the Cazalys Toy Drive collecting over 1,000 toys for the Salvation Army to distribute to those less fortunate at Christmas time. Collection tins around the club also raised $1,000 for the Salvos! Warren Adam’s attempt to to grow Cairns best Mo saw the team raise $2,992.00 to go to improving men’s health. Well done fellas!! Thanks to all who donated to Novembers charity, Meals On Wheels. A number of staff went down to help out with meal preparation & deliveries. Joan & Chris from Meals On Wheels set up a pop up stall in the foyer to inform everyone about the service. Money raised from the month totaled $812.10 & Joan accepted the cheque on behalf of Cairns Meals On Wheels. Cazalys held a fundraiser on Sat 26th Oct with all proceeds going to YAPS (Young Animal Protection Society). With your generous donations we were able to raise just over $3,000.00 for YAPS! Thanks to all who donated!! Thanks to all of you who supported us & helped raise money for the RSPCA’s Cupcake Day on Monday the 19th of August! Cazaly’s has again presented $50,000 worth of community grants to worthy recipients, who are making a difference to improve the lives of people in Far North Queensland. Seventeen groups shared in the funding which was announced at the club last night. Cazaly’s is a name that’s synonymous with the Cairns Community and the Cazaly’s Community Fund is just another facet of the support we give to our area, Both myself and the Board are committed to being able to maintain such a worthwhile scheme to truly demonstrate we are a leading community supporter and a true community club. General Manager Jason Salecich said. Proudly supported by The Cairns Post and Channel 7! Cazaly’s proud role in the community as a not-for-profit organisation returns around 2.5 million dollars per year back into the community. The Club acknowledges that a major financial priority , of course is the promotion and development of Aussie Rules Football in the area, to encourage healthy sporting, community spirited activity in our area.